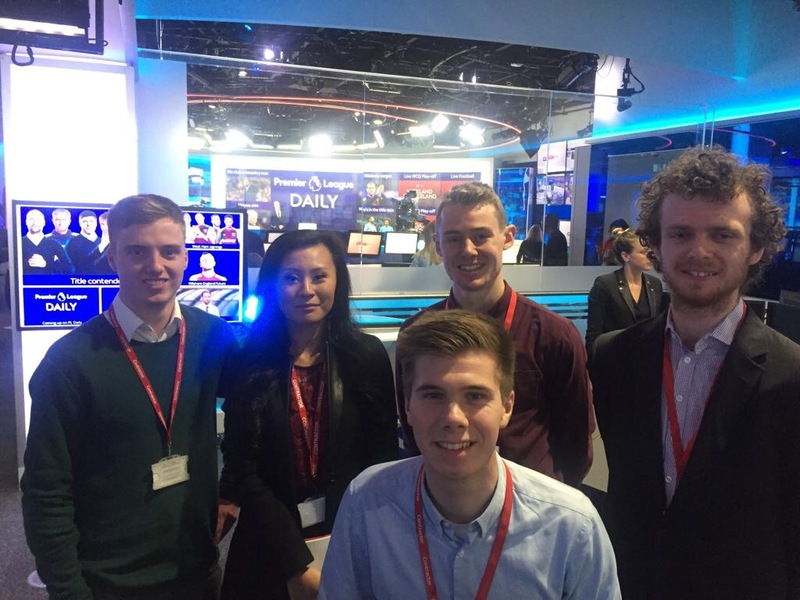 Our sports journalism trainees recently spent a morning at the Sky Sports News offices in Osterley where they were given a unique insight into what it takes to produce a rolling sports news TV channel. Here, New Associates sports journalism trainee Joshua Jones recalls his highlights of the visit. “On Transfer Deadline Day, Jim White takes calls during the commercial break, writes the conversation in shorthand and then reads it back, live on Sky Sports News. This was one of the first things we learnt during our visit to Sky Sports News. 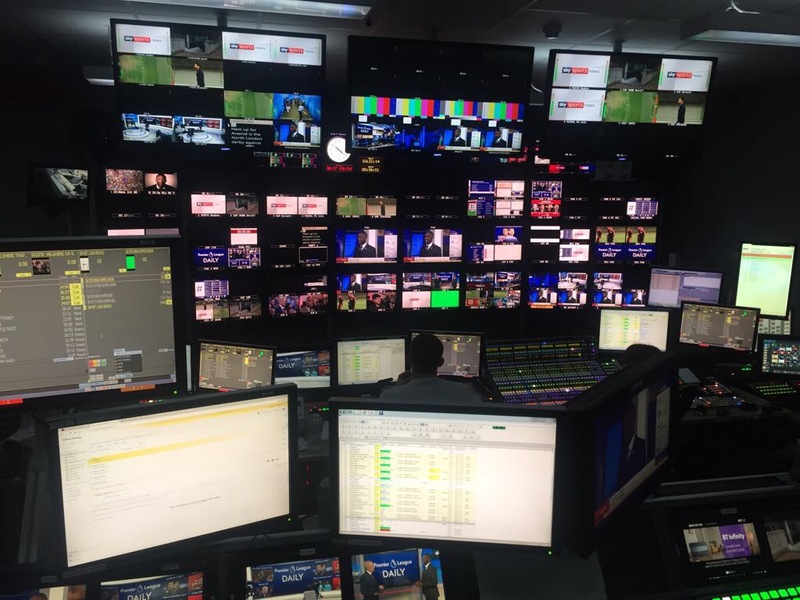 Laurie Tucker, who helps to run the graduate and training programmes, invited us to spend a morning experiencing how Sky Sports News functions. The day started early, meeting at Osterley tube station at 7am to allow us plenty of time to clear security at the impressive Sky campus. Once inside, we sat down for a chat with Laurie, discussing and debating the state and development of sport and the implications this has had on Sky Sports News over its history. It was during this discussion, we talked about the hard work all the presenters do behind the scenes, including Jim White’s dedication to his shorthand. 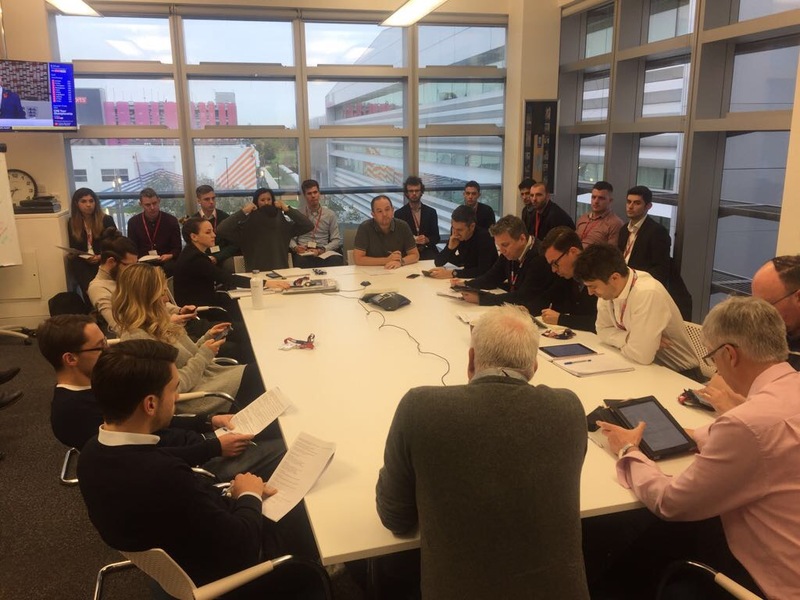 Sky Sports News then gave us yet more incredible access, welcoming us into the morning conference – known as ‘The 8.30’ – between the editors and producers. This briefing consisted of working their way through the day’s diary, finalising the agenda and making sure every story is covered throughout the day. Being in the meeting allowed us to see how the television production and digital content is put together, structured and published. This was a fascinating lesson none of us trainees had any idea about before our visit. Following the briefing, a handful of the senior producers were more than willing to stick around and answer any questions we fired at them. This included discussions about Sky Sports News’ considerations about what makes good content, how to prioritise this content and how they keep the viewers at the forefront of their thoughts throughout. 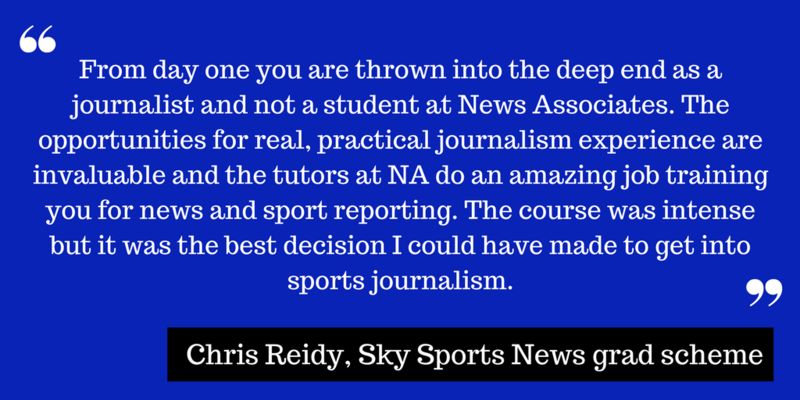 We were also introduced to Chris Reidy, this year’s Sky Sports News graduate. Chris was on our course at News Associates last year so it was great to meet him, ask questions about the course and receive advice from him on career opportunities. Chris and Laurie then took us on a tour of the Sky Sports News studios which included the newsroom where content is prepared for broadcasting and publication. The chance to walk around the studio while the presenter and his guest were live on air was unprecedented access that very few, if any, other journalism courses would be given. Chris took us into the gallery, a control room where a team of producers and directors work under the most intense pressure to make the live broadcasting run smoothly. 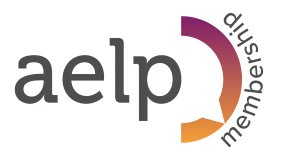 Their work includes talking to camera operators and the presenters, telling them where to stand, what is coming up next and when to go to the next news item. It was a privilege to see this operation take place first hand was a real eye-opener for all of us. 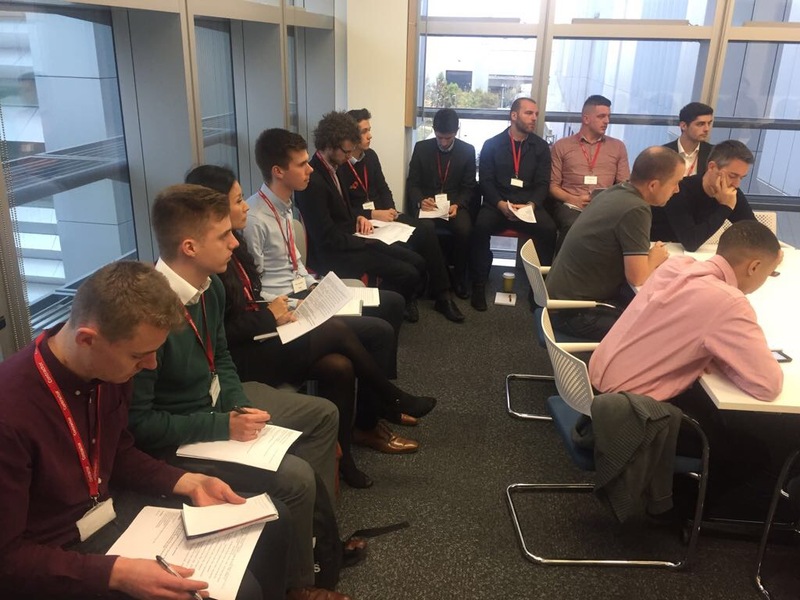 The morning concluded with a chance to ask Laurie and Chris more about working at Sky Sports News and what they look for when employing newly-qualified journalists.